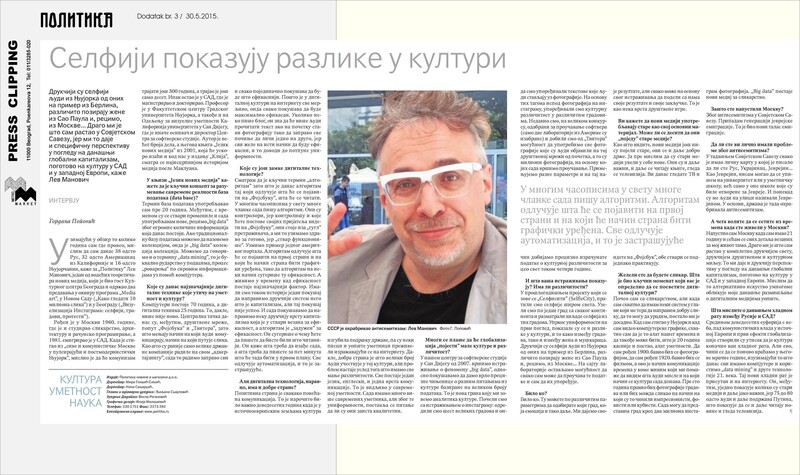 Interview by Dennis Sidorov, Interview Russia, June 2015. Interview by Vladimir Todorov, Gazeta.ru, Moscow, June 2015. Interview by Kiril Rozhenkov, Theory & Practice, Moscow, June 2015.